What Can a Backup Device Do for You? Having a hardware wallet is a great way to secure your crypto assets. You can increase this security by having a second in case of theft, damage or loss. Equally, this would reduce the risk that losing a recovery sheet might bring or perhaps you share a cryptocurrency account with a relative. There are several reasons for potentially having or wanting a second hardware wallet, which you would use as a backup. What would you do if you lose your precious device? Of course, you can always restore it using your 24-word recovery phrase, but what if that has been lost or had been noted incorrectly? A backup could add another layer of security for you. Even for flexibility, there can be several reasons for wanting a backup device. Underneath here, we will list some of the possible uses for it. There’s also the possibility of having dedicated devices. 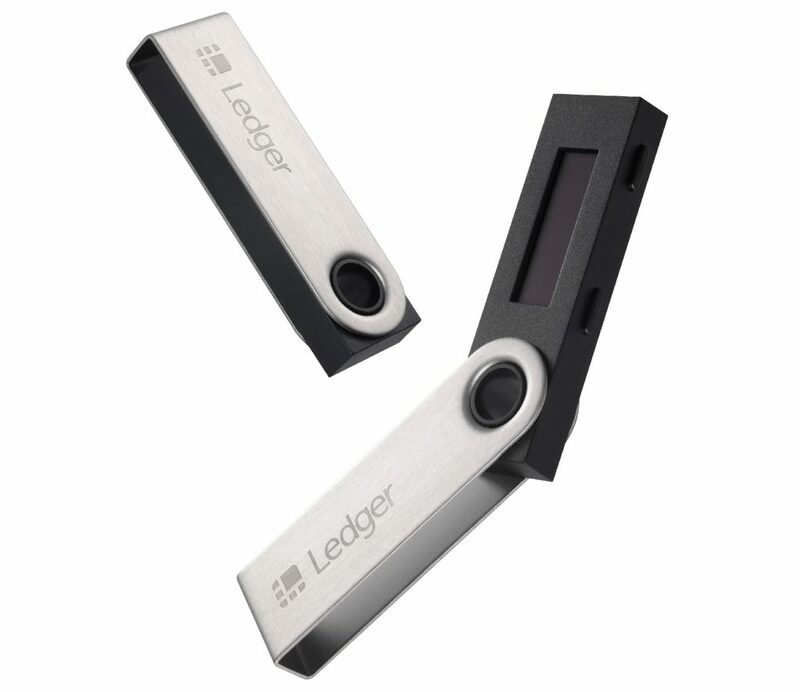 Your first Ledger Nano S could be used primarily for crypto assets, while your second device could be used for the utility apps, such as the Password Manager (available in developer mode), Hello, Recovery Check and Woleet. Or perhaps you’d want to use the second device for other crypto assets than the first one. Another case we see often is two individuals sharing one account. In this way, the two could each have their own device and access the crypto assets as desired. This can be interesting for families for example. There are two different use cases for wanting quick access. One is convenience, whereas the other concerns the security of your crypto assets. Many of our users have already noticed the ease of the Ledger Nano S’ usability. It provides easy access to your crypto assets through a computer at any time. By having two devices, one can be taken with you anywhere you go. The other can be kept for at-home use or kept in a safe storage. Another benefit of having a second device is always being able to access your crypto assets if anything happens to your first device. Should your first device be stolen, it is recommended to rapidly move your crypto assets so that no one would be able to access them. 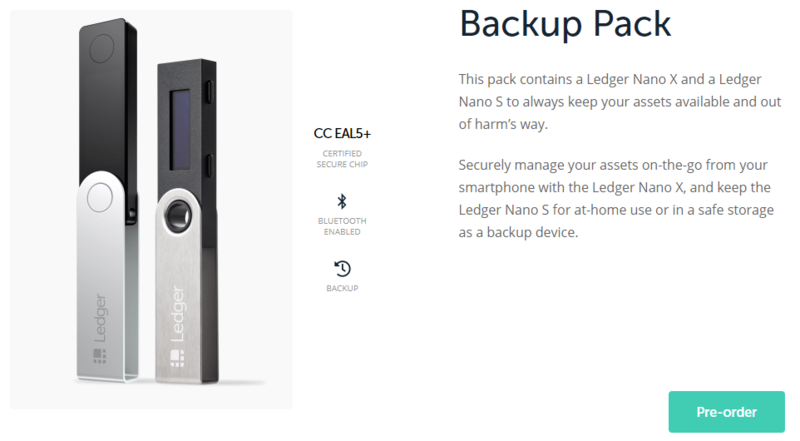 With a backup device, you would be able to have quick access and move your crypto assets if needed. After this, you can reset your Ledger Nano S to use it safely once again. When you lose your device or should it malfunction due to being damaged, having a backup device enables you to still have access to your crypto assets. We do already provide a form of backing up your device: the 24 word recovery phrase. This too, however, could get lost or destroyed. In worst case scenarios, a flood or fire could make short work of your recovery sheet. Much like a Ledger device, a recovery sheet could be lost as well. Having a backup device stored in a different location would mitigate this threat. How do I back up a device? To create a backup of your first device, you will need to use the 24-word recovery phrase you received when first using it. You can then enter your 24 words into your second device by using the restore option to create a backup. To have more details and see our step by step instruction for the backup, read this article: Restore from Recovery Phrase. These will be key for initializing. Please note that PIN codes can now be between 4 and 8 digits long, rather than the 4 digits shown on the video – this used an older firmware. The rest of the steps are still the same.